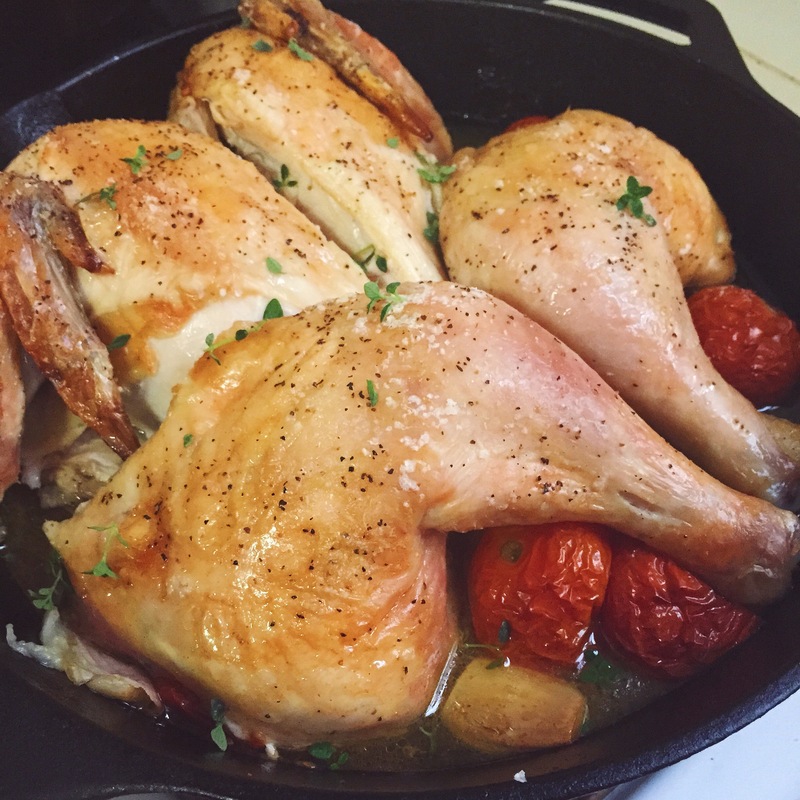 Over the years I learned that roasting a whole chicken at home is actually quite simple and I now have a back pocket roast chicken recipe for whenever I have guests over at my own “family table.” In the winter I nestle potatoes under and around the chicken, but at the end of the summer I use the bounty of plump tomatoes. And always add some whole garlic cloves! I recently made a Kale Cashew Caesar to go with my back pocket chicken and some boiled corn–a great meal for getting back to the dinner table. The dressing is a mostly vegan (I used Worcestershire sauce and real Parmesan) take on a Caesar. Cashews blend up into a super creamy sauce that holds well on a bunch of hearty kale. Easy enough for a casual weeknight meal and impressive enough for hosting company. Leftover salad holds up well the next day, too. To make the dressing: Soak the cashews in water the night before. The next day, strain the cashews and add them to a blender or food processor with the remaining dressing ingredients. For the salad: Take the kale leaves off the stem and tear them into large pieces. Wash the kale in a bowl and spin it dry. Toss the kale with the dressing and top with the finely grated Parmesan. You can never have too many “back pocket” meals! I have been looking for a quick, healthy salad to bring to an upcoming BBQ, and this sounds perfect! Thanks! Here, here! Thanks, Katy. This would be a great salad to bring to a barbecue. Looks great, and easy! I’m going to try this. Also love that you made the chicken in a cast iron pan. Thanks, Julie! Chicken in the cast iron looks (and tastes) great.